Lingholm Lodge was our first commission by the Lingholm Estate following initial master-planning of the entire estate and pre-application discussions with the National Park Authority. The original lodge building was constructed in 1908 and contained four bedrooms which were vacant in 2013. Whilst the building isn’t listed in itself is was considered a curtilage building to the main Grade II Listed house and as such required Listed Building Consent as well as Planning Permission for the works. 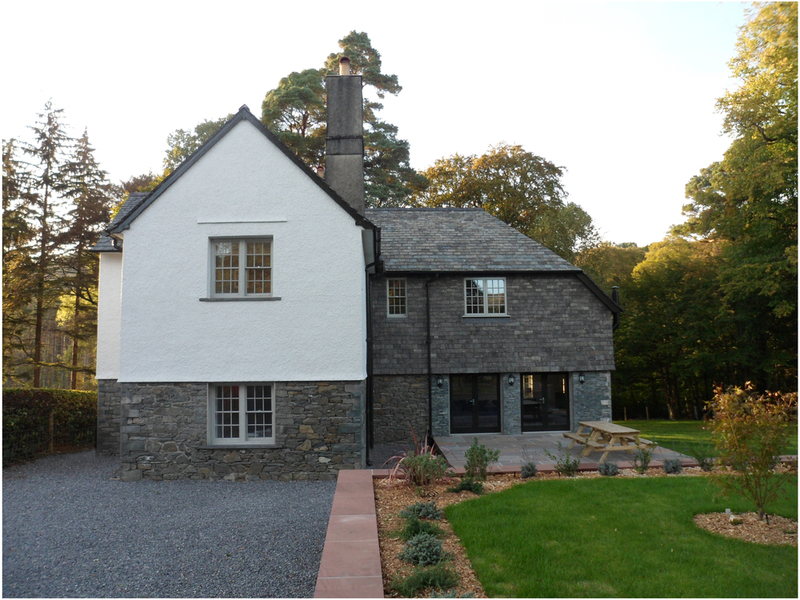 This involved a significant two storey extension to replace the existing kitchen wing and lean-to garage. The house now provides holiday accommodation with five double bedrooms and a large open plan living area.